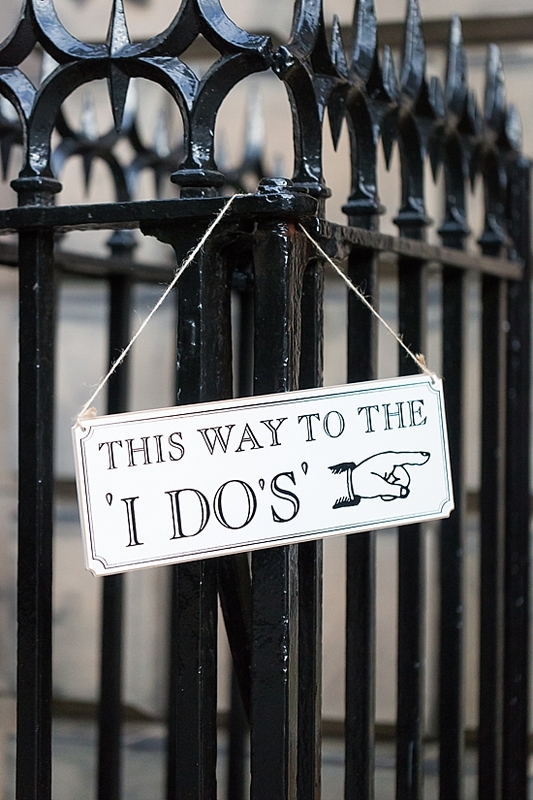 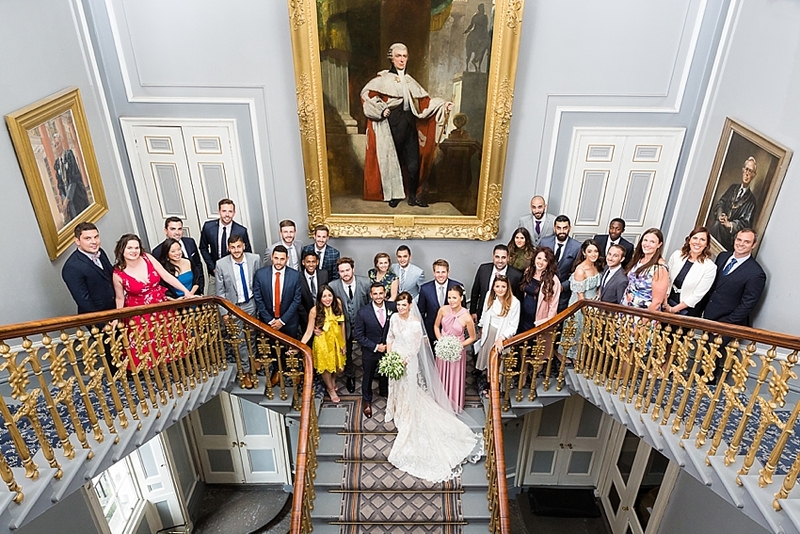 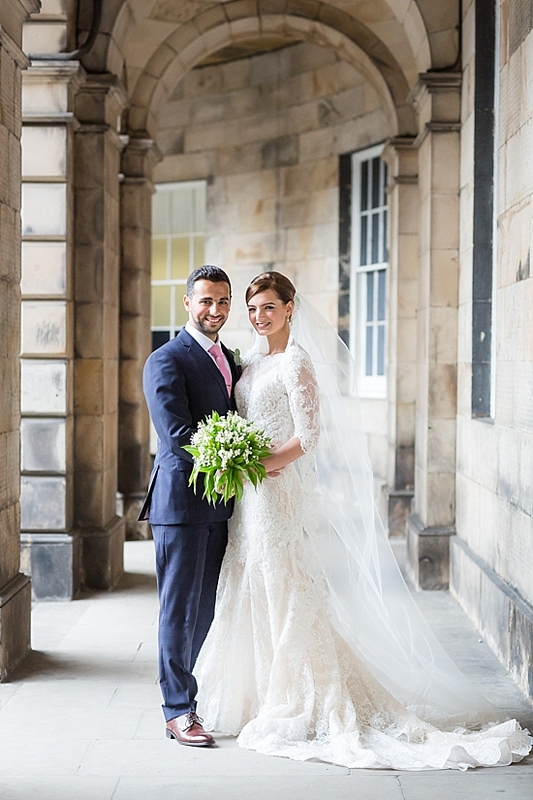 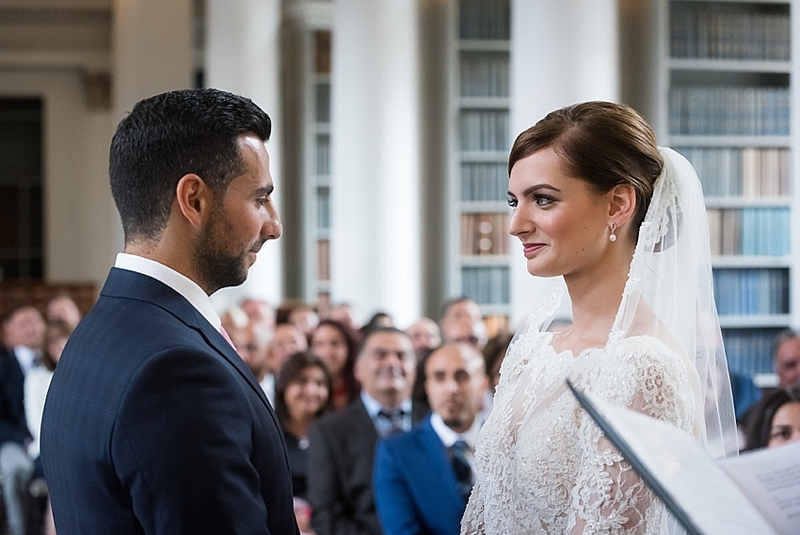 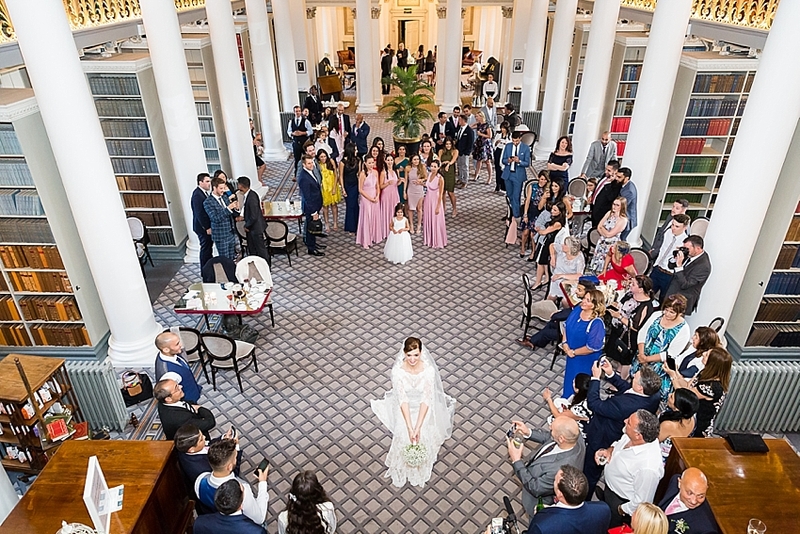 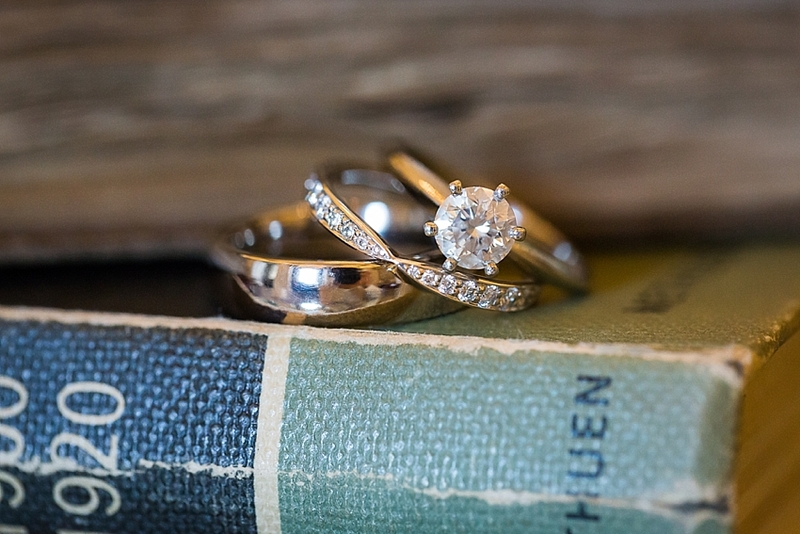 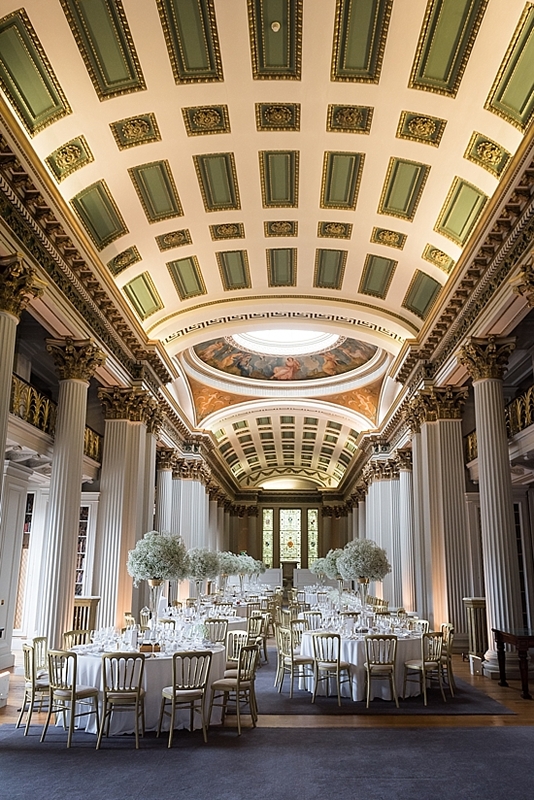 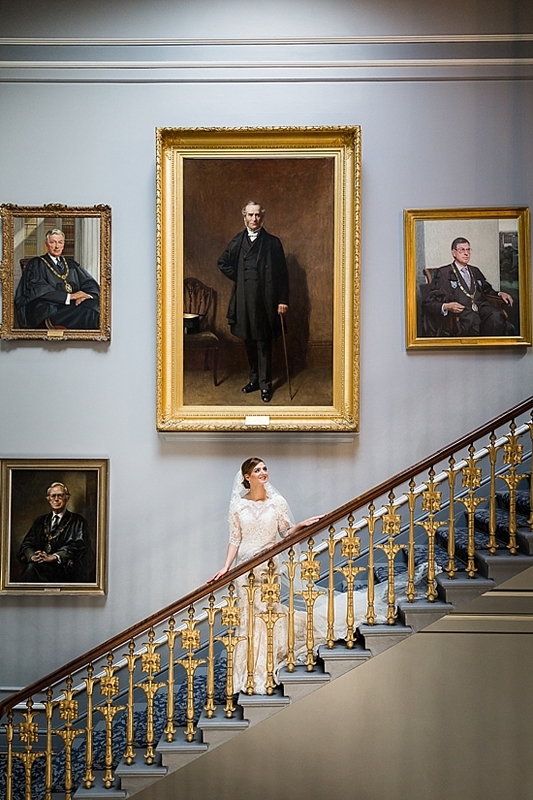 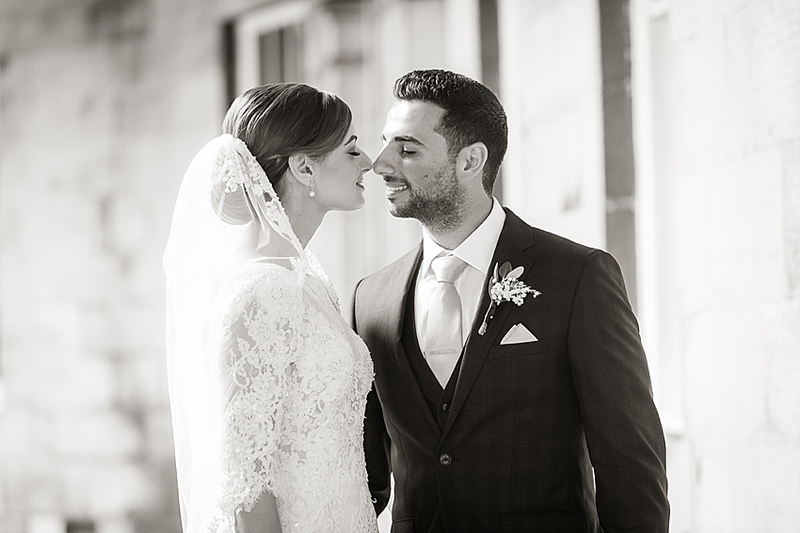 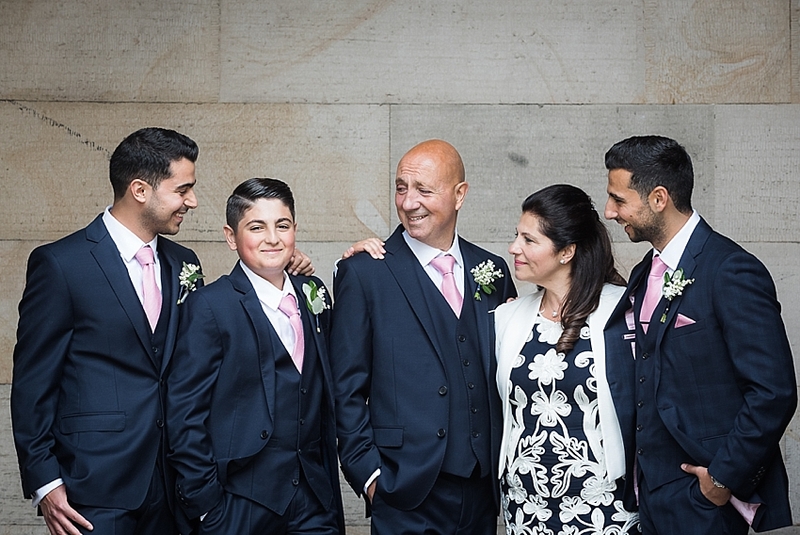 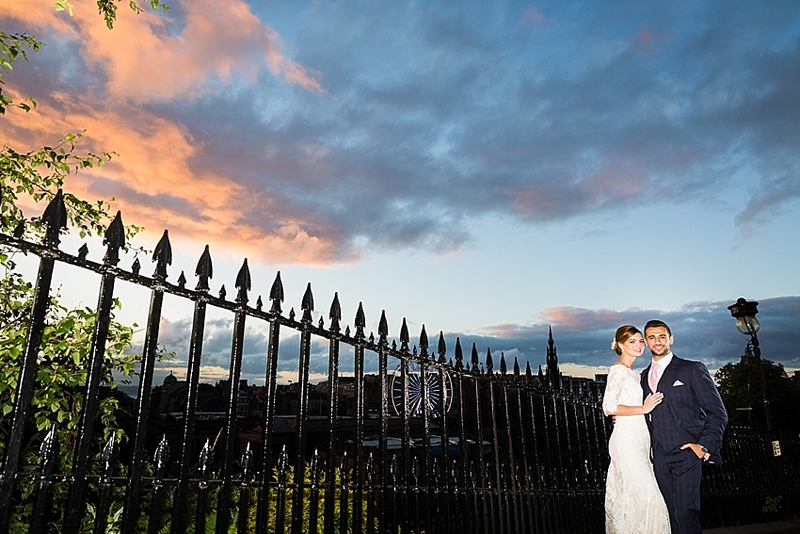 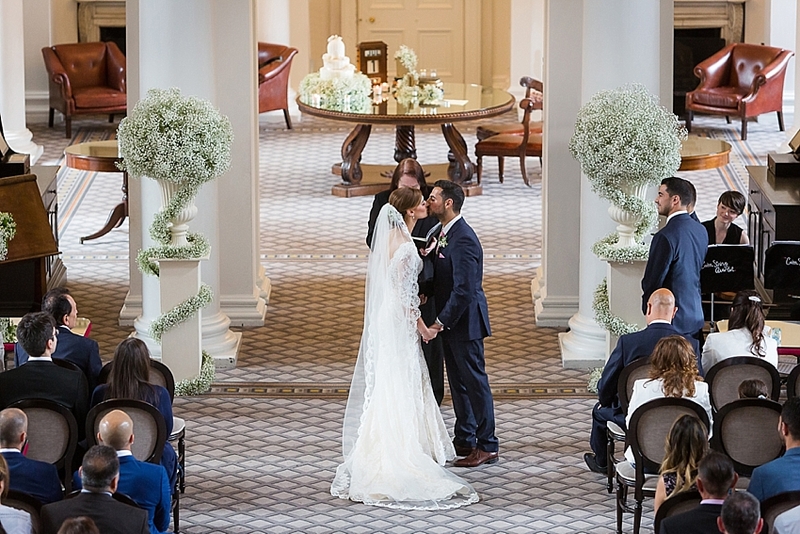 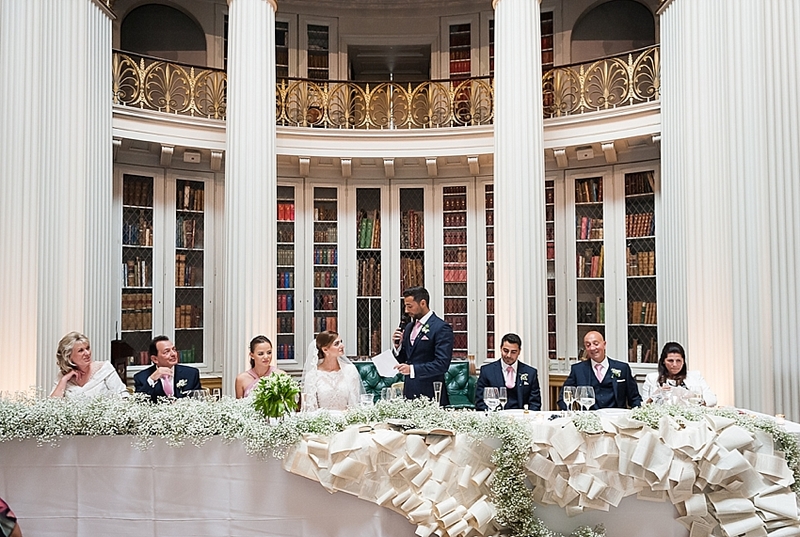 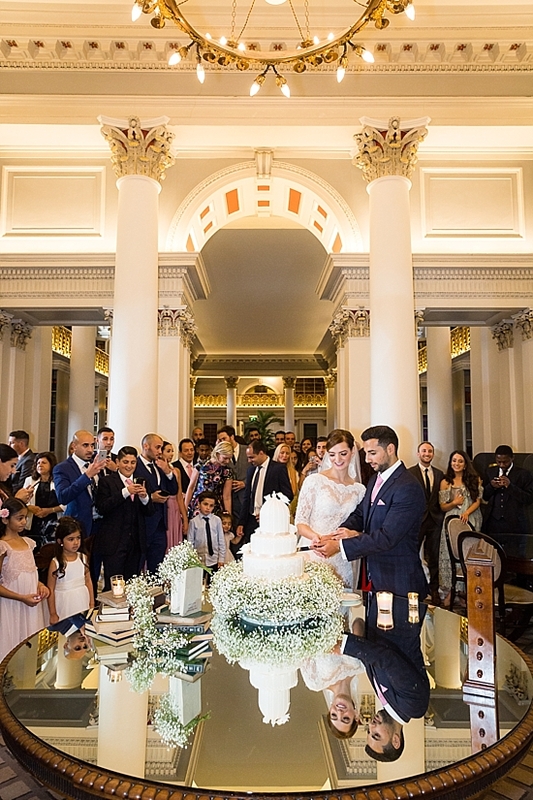 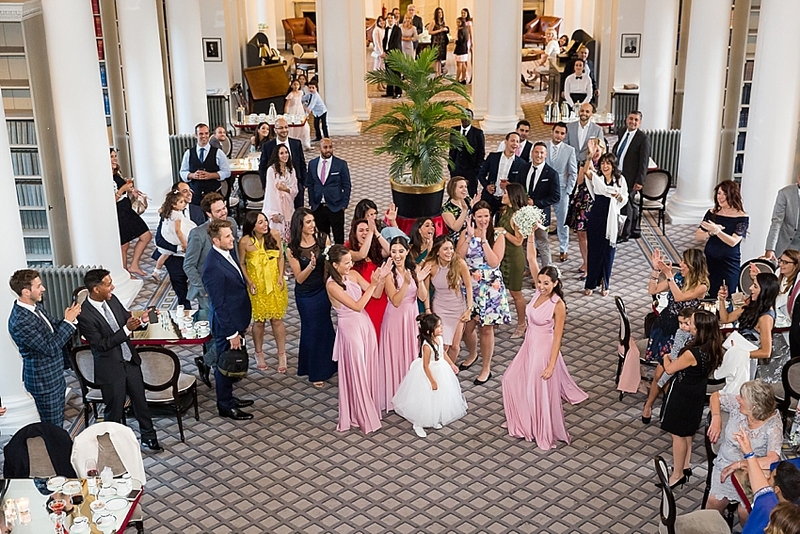 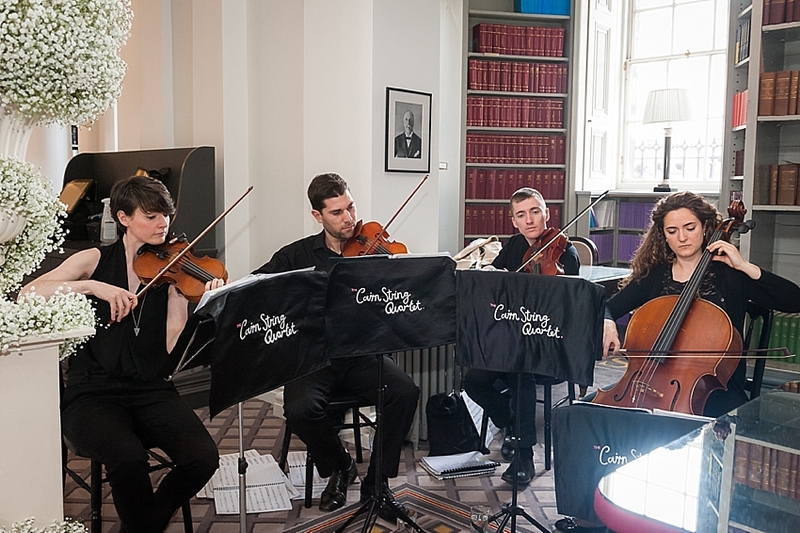 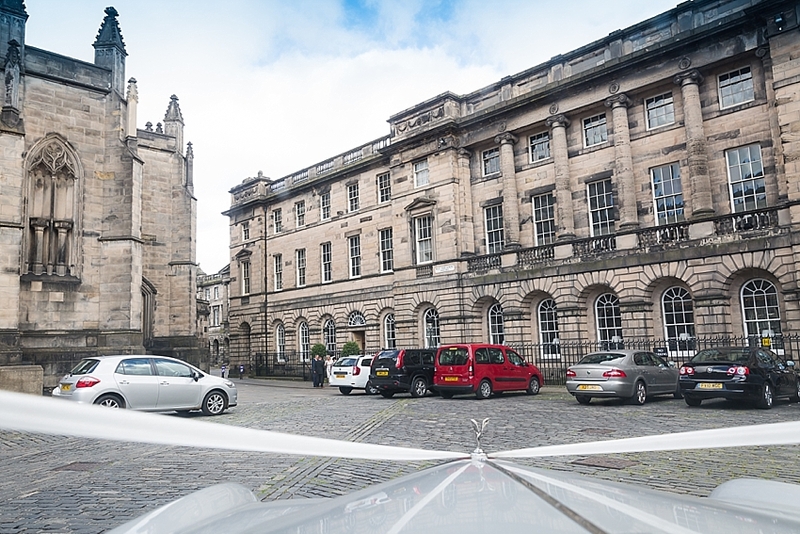 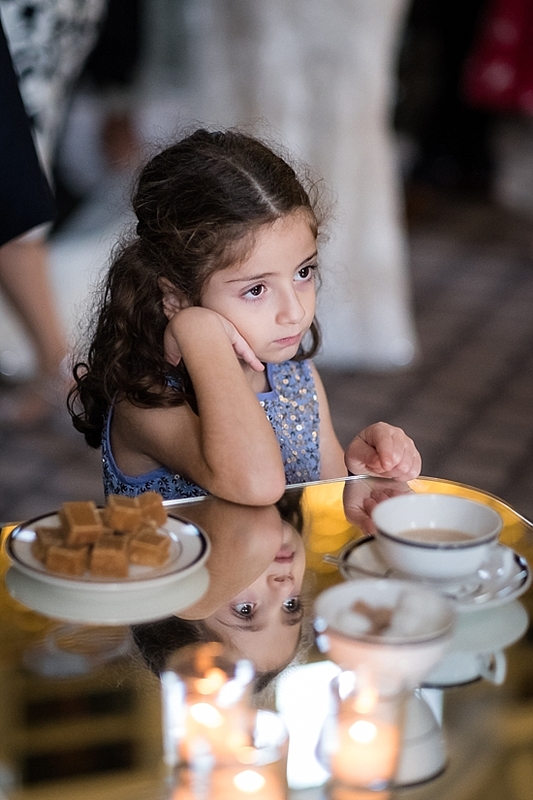 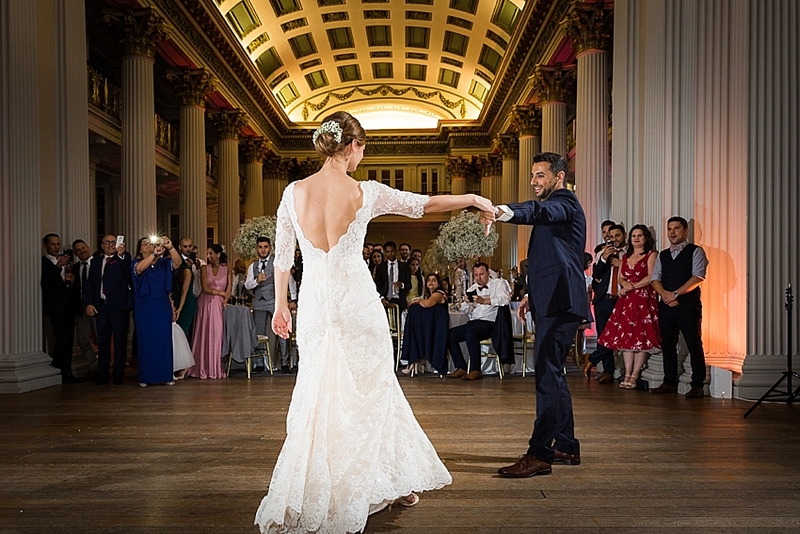 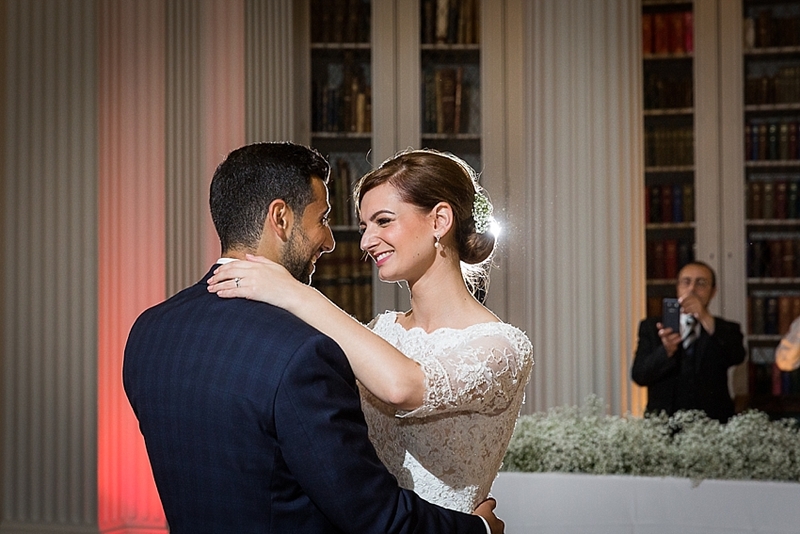 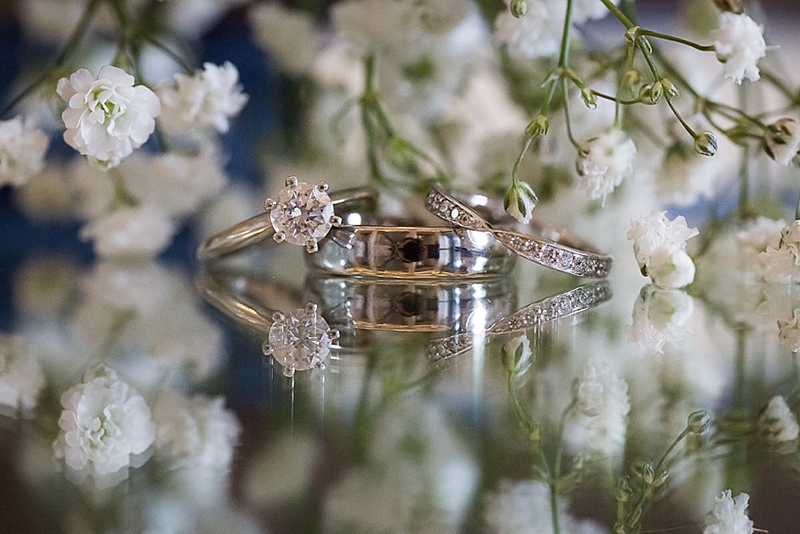 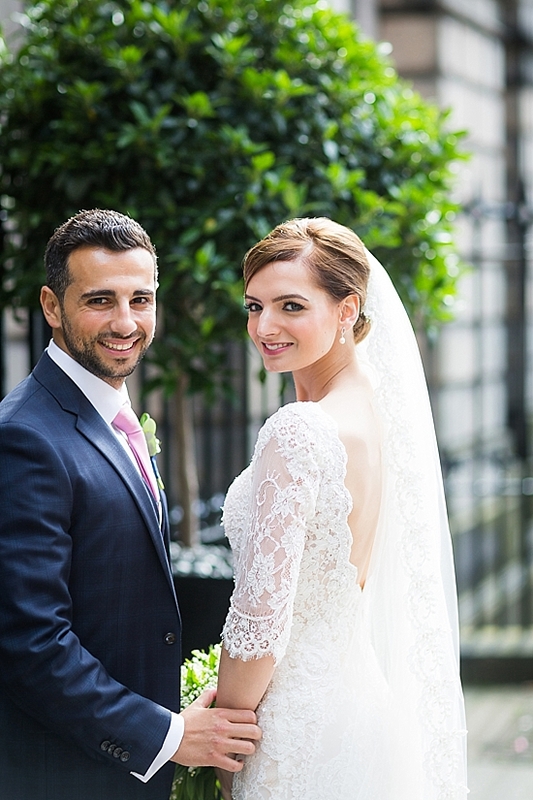 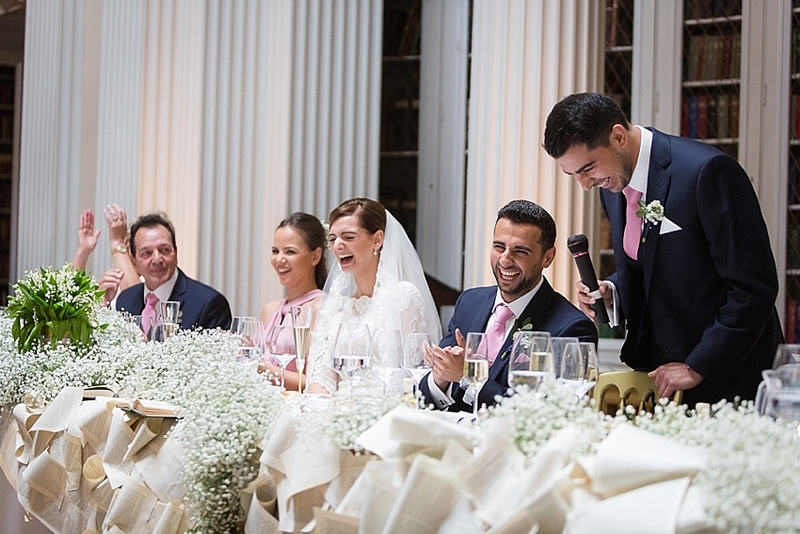 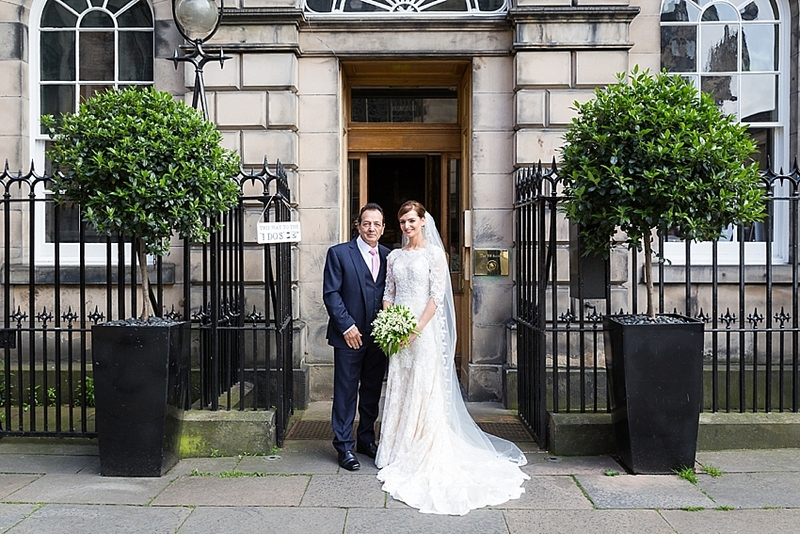 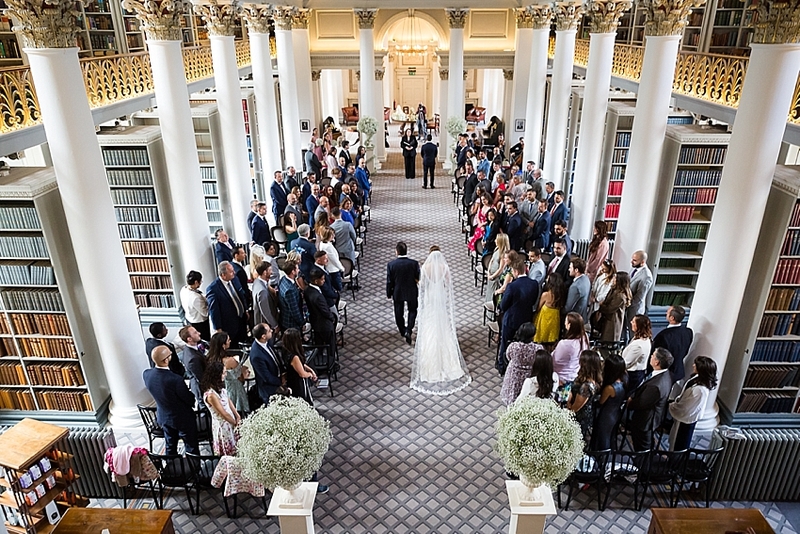 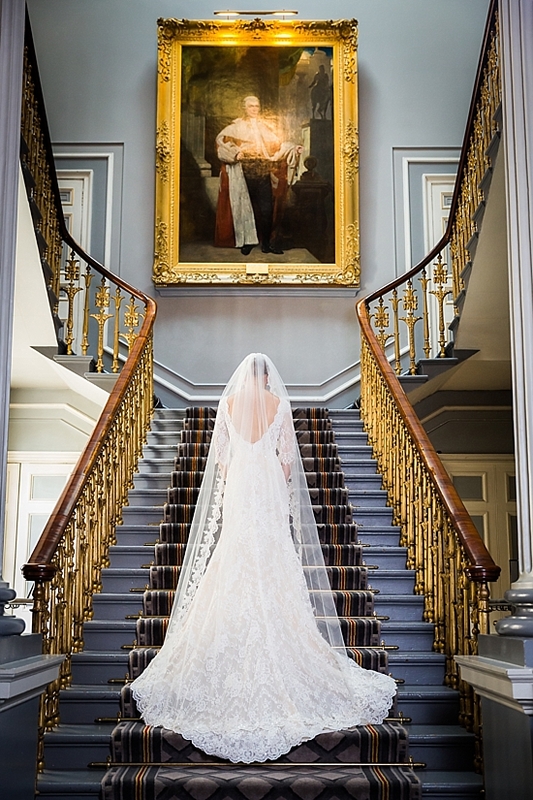 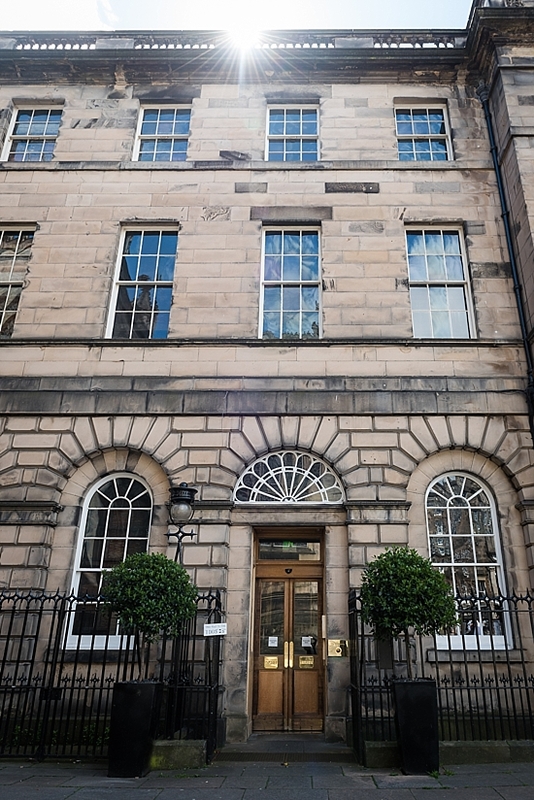 Today we are looking back at Candida and Dimitri’s wedding Edinburgh’s historic Signet Library . 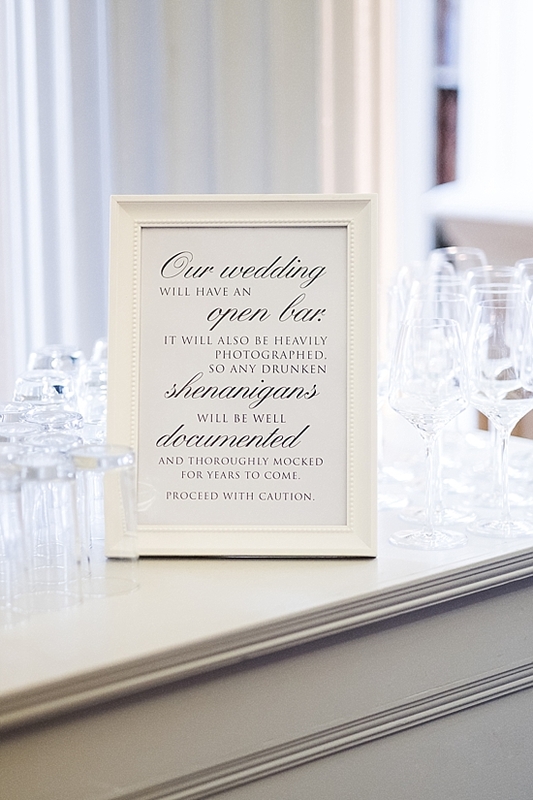 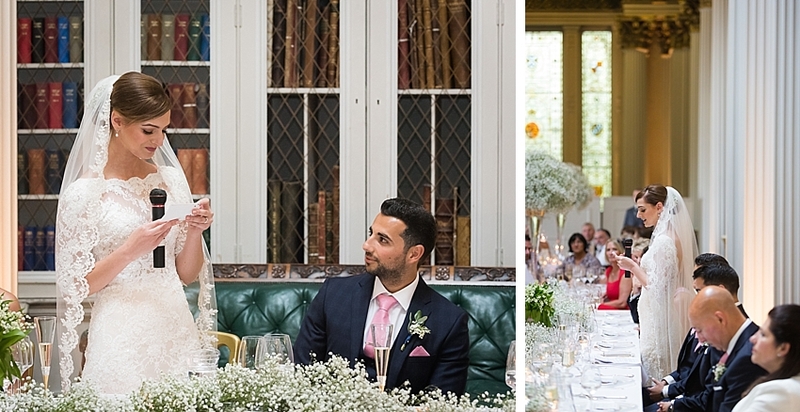 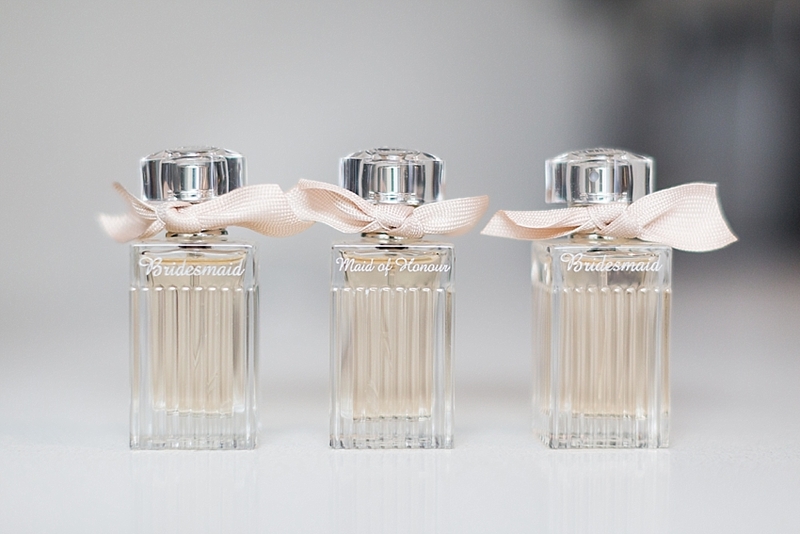 I promise you, this is one of the most elegant weddings you’ve ever seen! 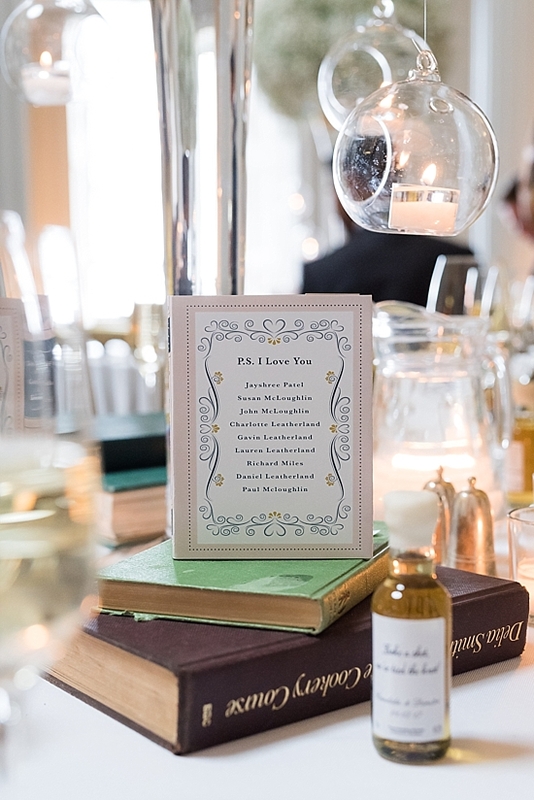 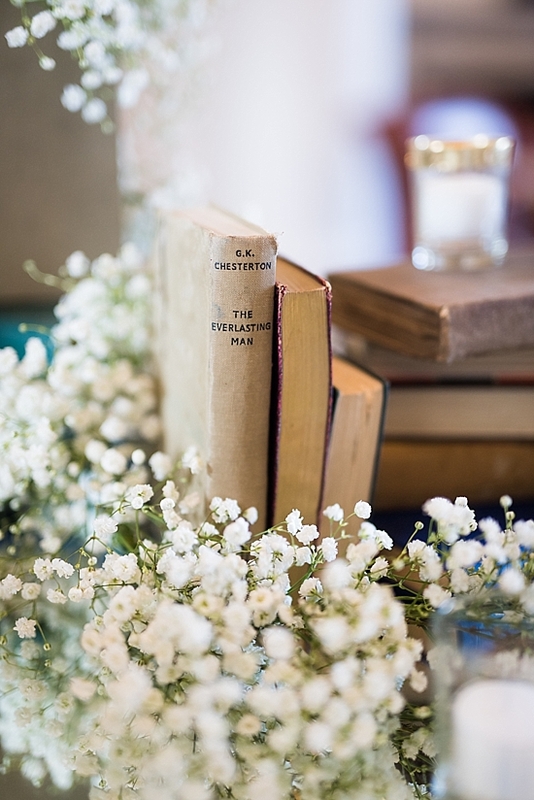 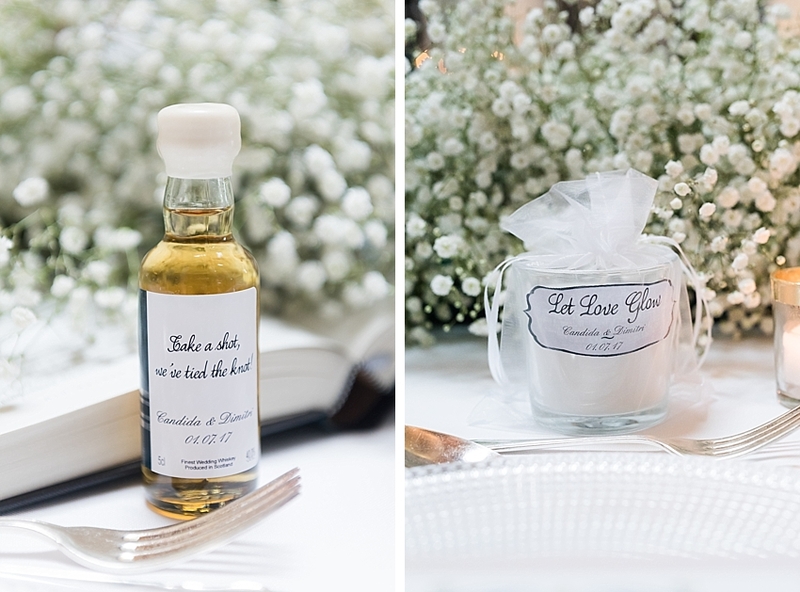 The attention to detail in this literary themed wedding, from literary inspired stationery and table decorations, was astonishing and such a delight to capture. 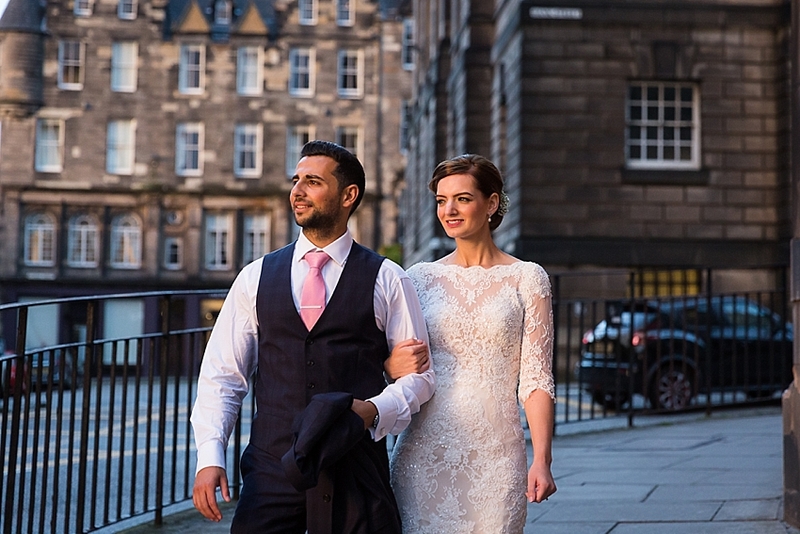 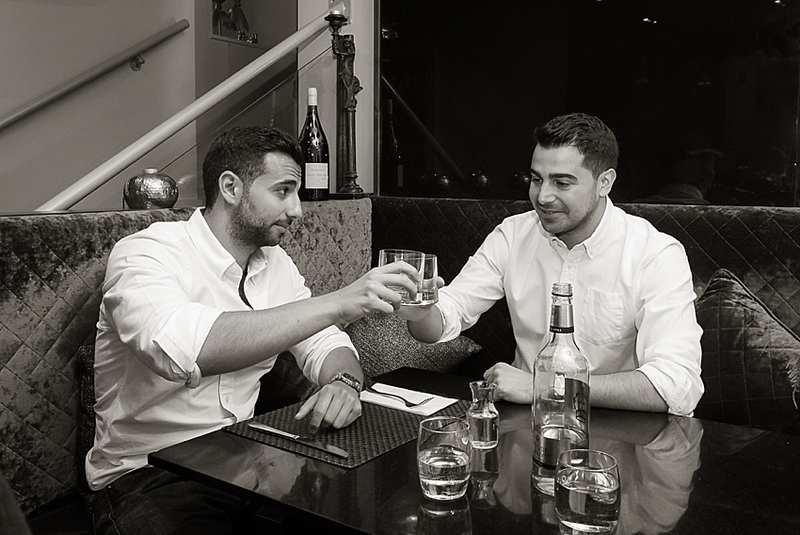 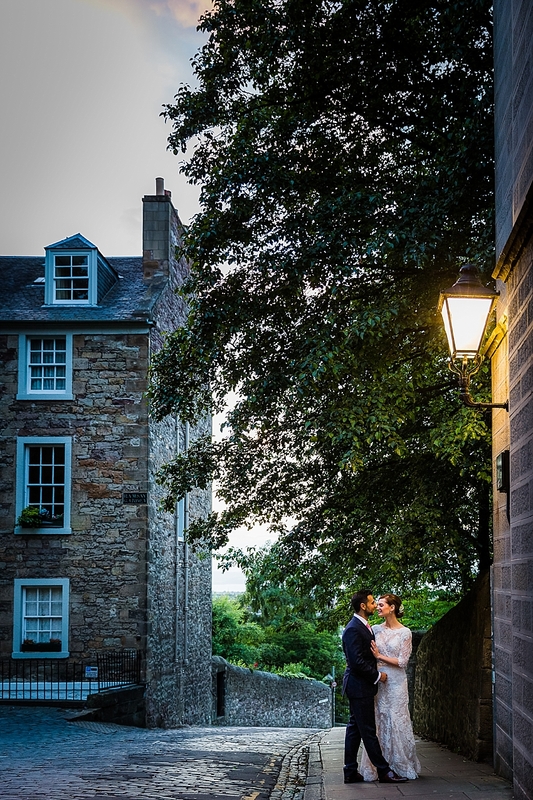 The couple met whilst students, and years later Dimitri proposed to Candida in the Great Hall of Edinburgh Castle, whilst enjoying a weekend break in Edinburgh. 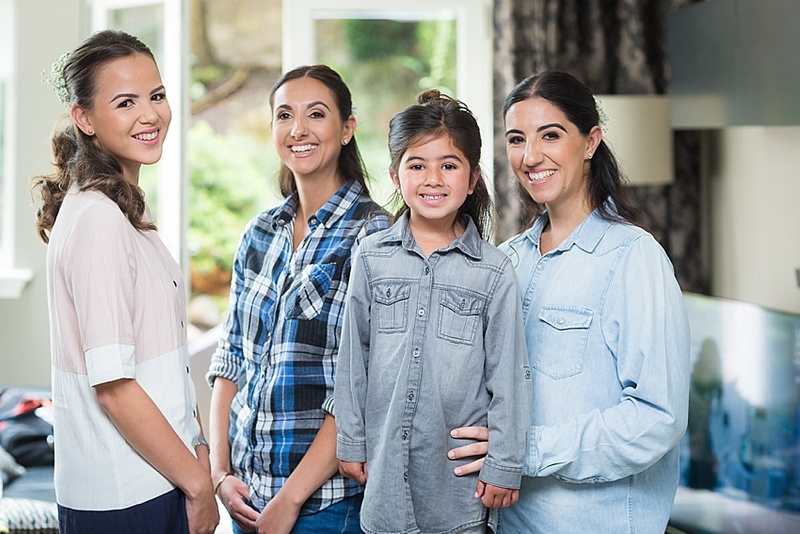 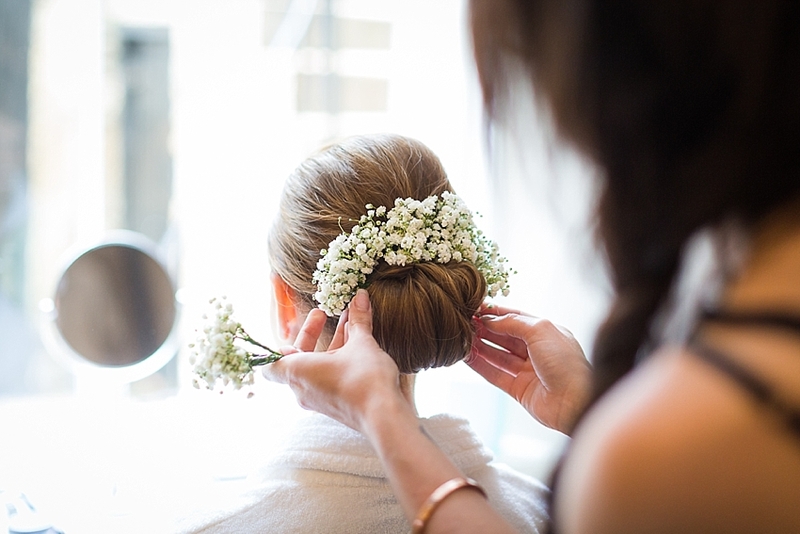 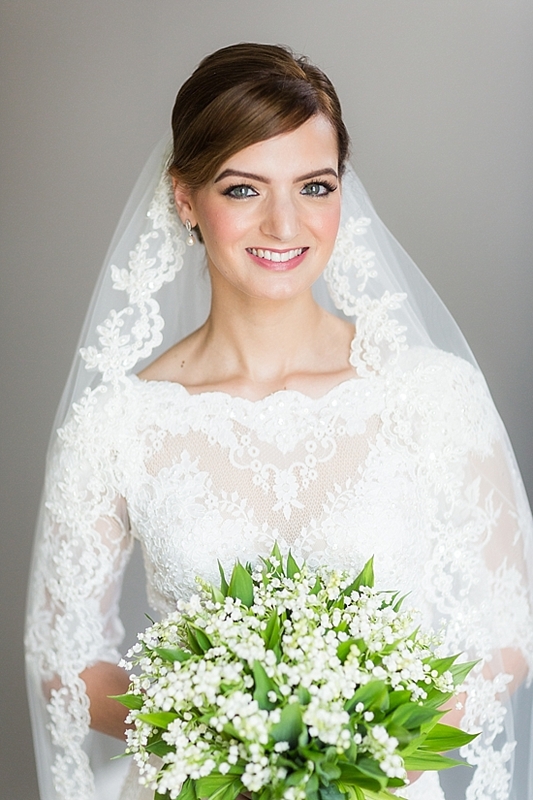 Candida’s elegant updo was styled by Ladylux Salon, with a floral headpiece made of gypsophila adding the final touch. 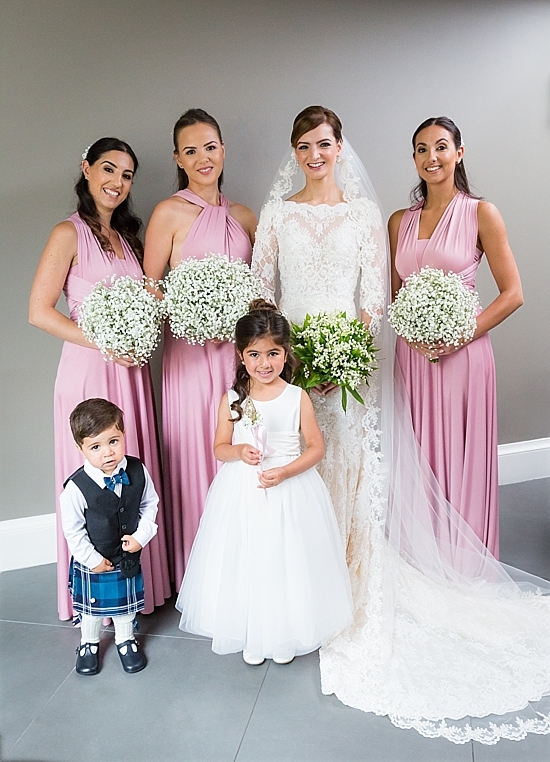 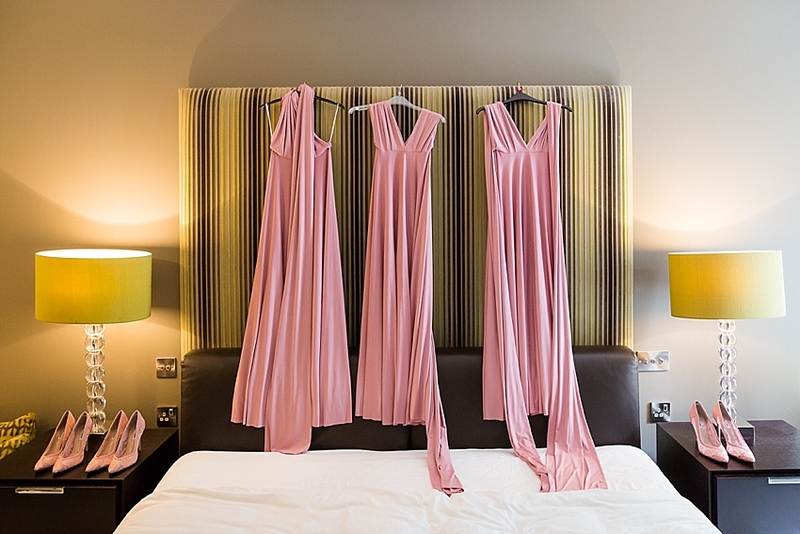 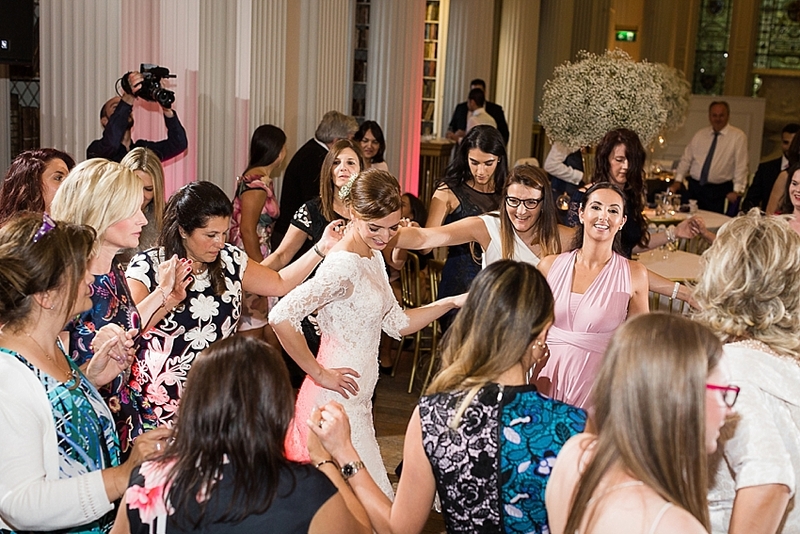 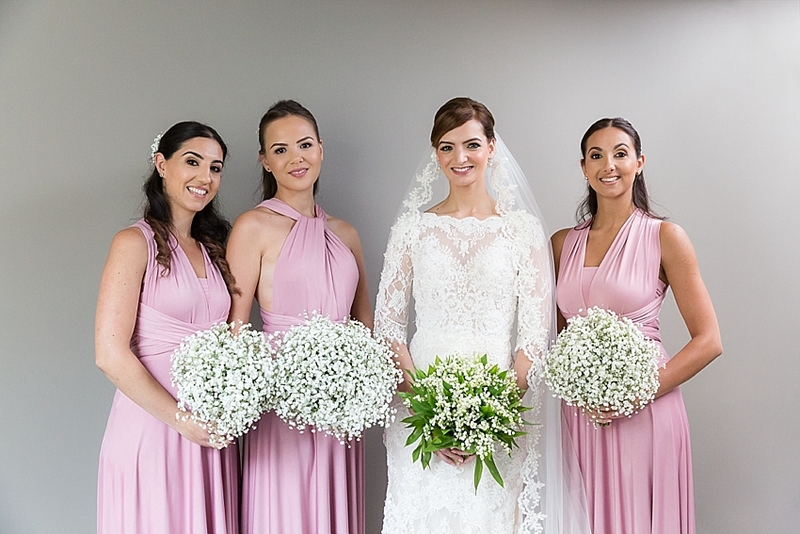 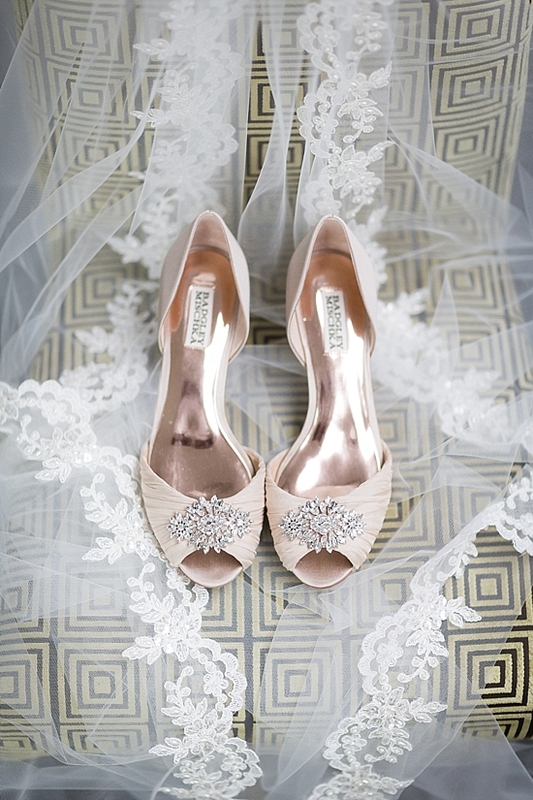 The bridesmaid’s elegant pale pink gowns were by In One Clothing, worn with shoes from Dune, flowers in their hair and accessories from Mia Lia. 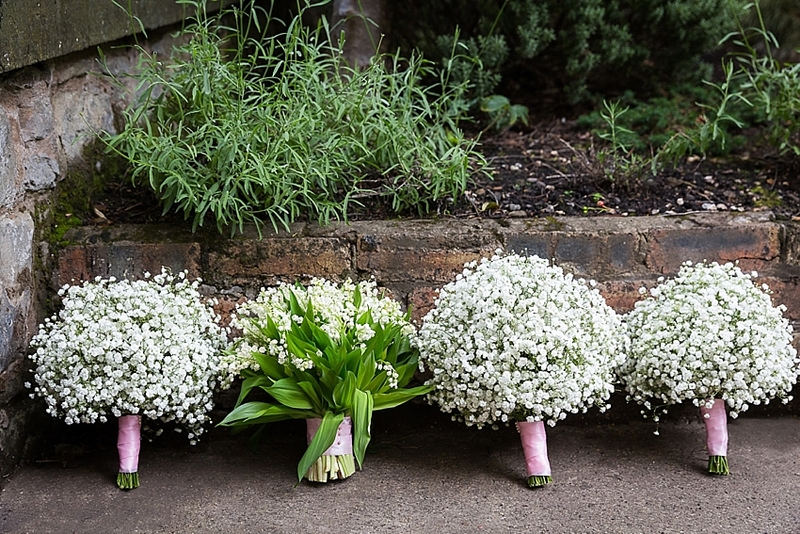 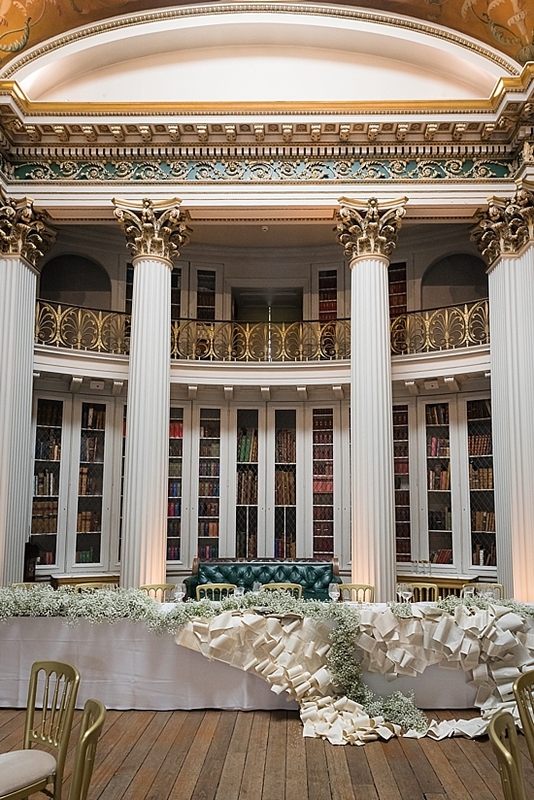 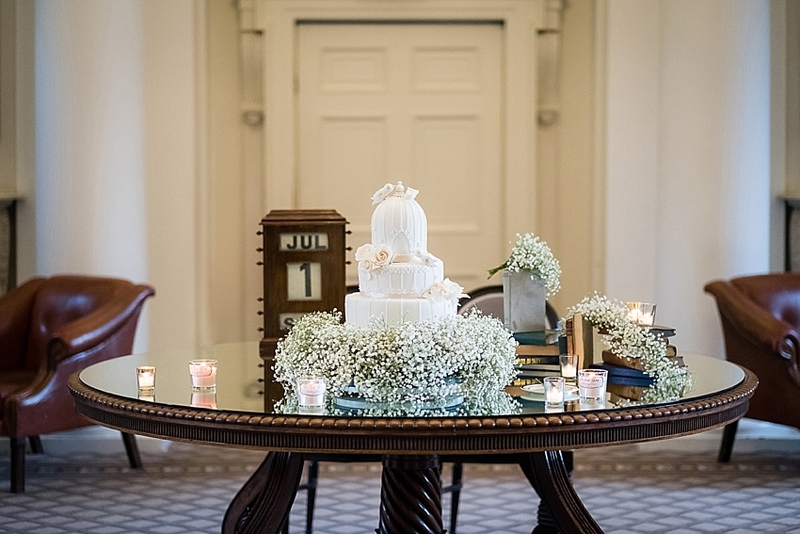 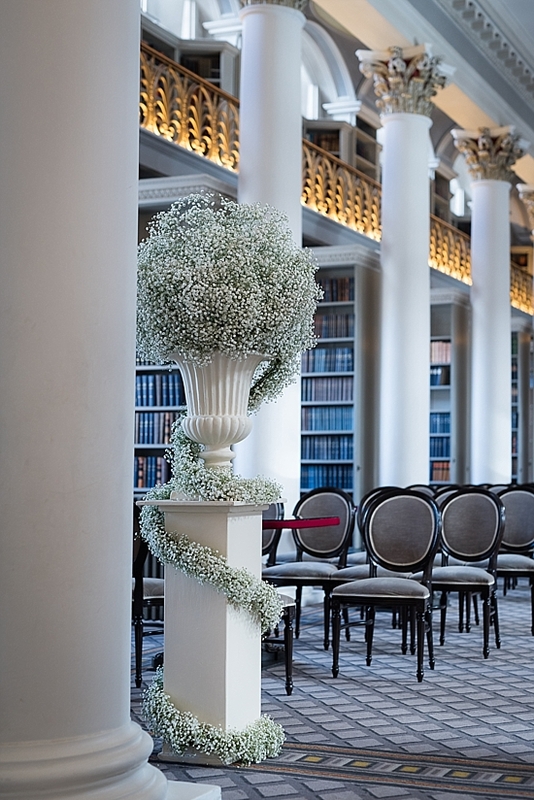 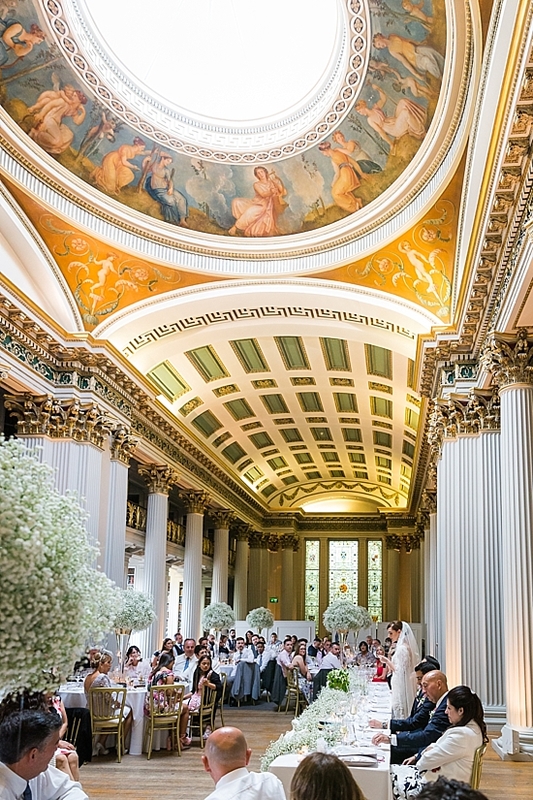 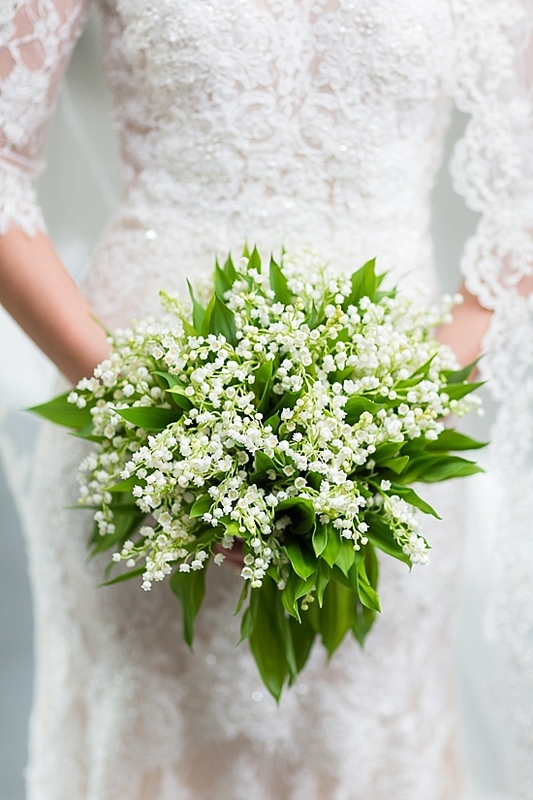 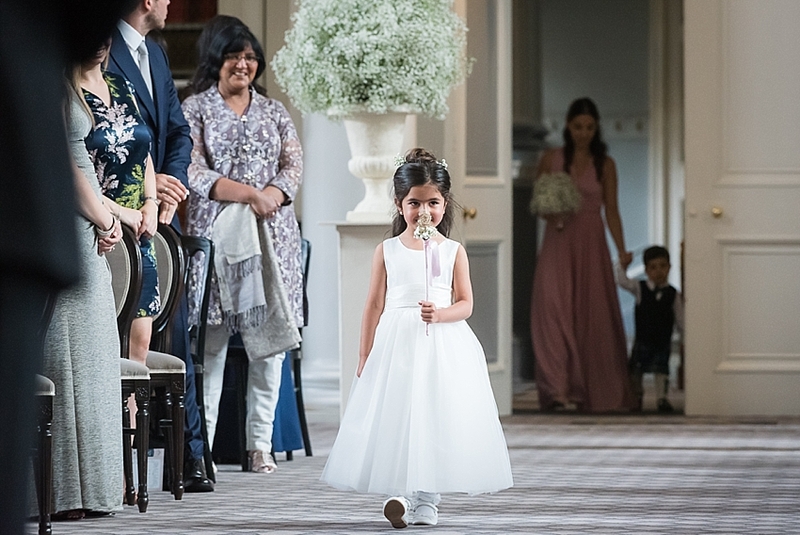 The beautiful bridal bouquet of Lily of the Valley and stunning floral arrangements decorating the Signet Library were the work of Edinburgh based Planet Flowers. 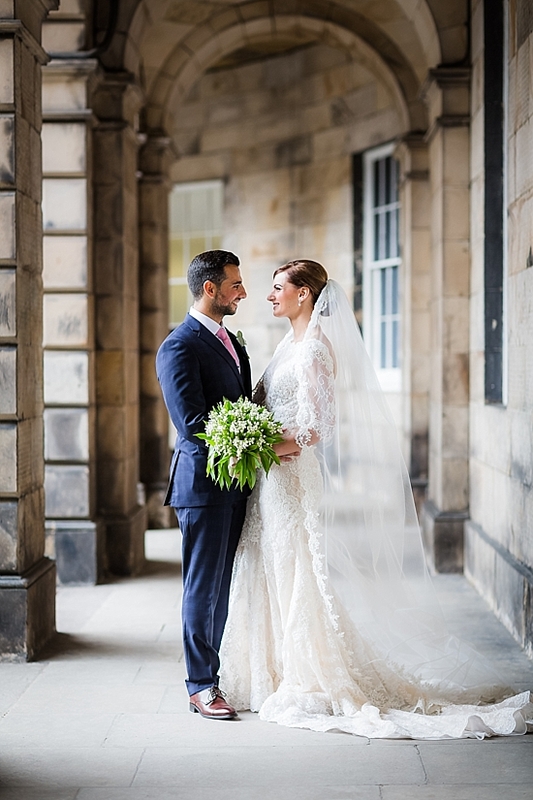 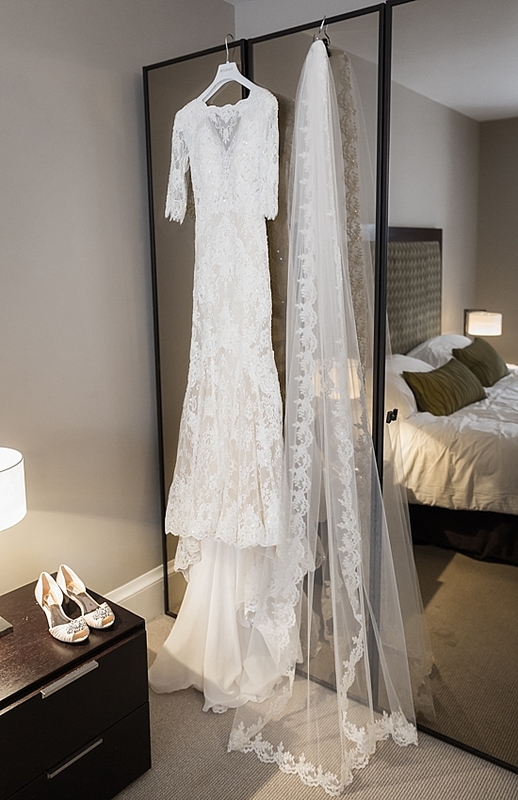 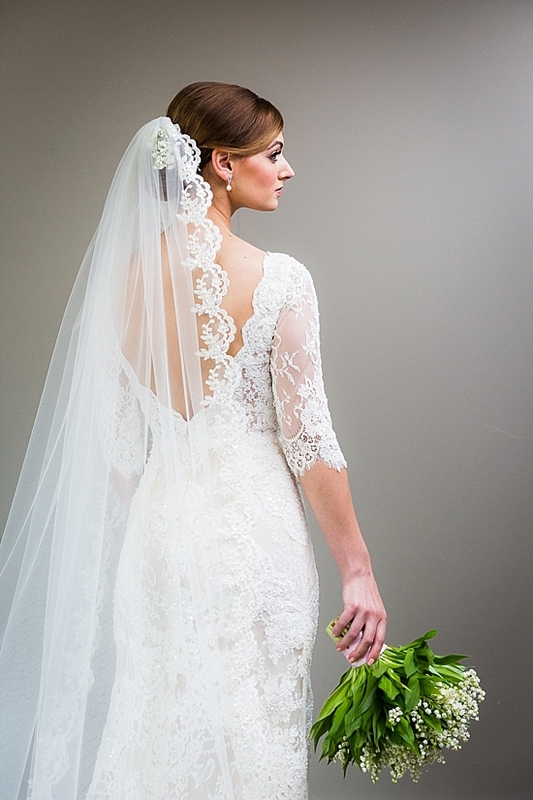 Candida wore an exquisite lace gown by Annasul Y, which she purchased from The Secret Dress House , along with her custom-made veil. 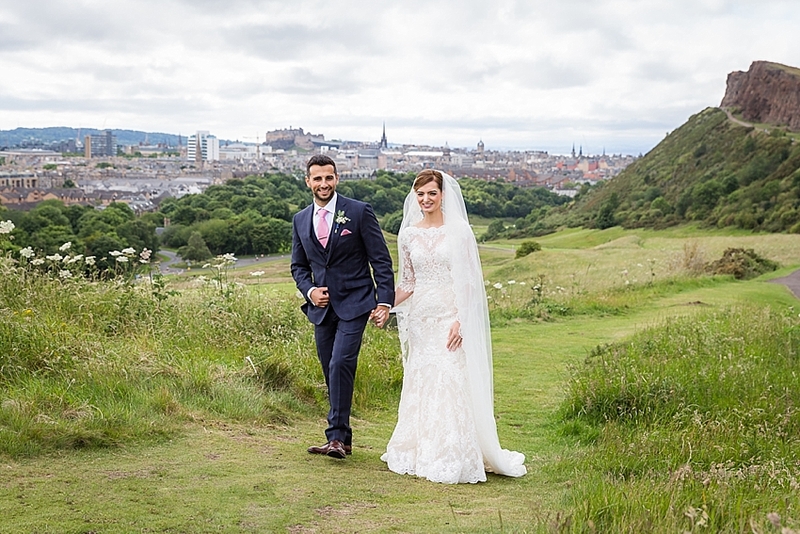 During the drinks reception, we took a quick trip up Arthur’s Seat for some wedding photos. 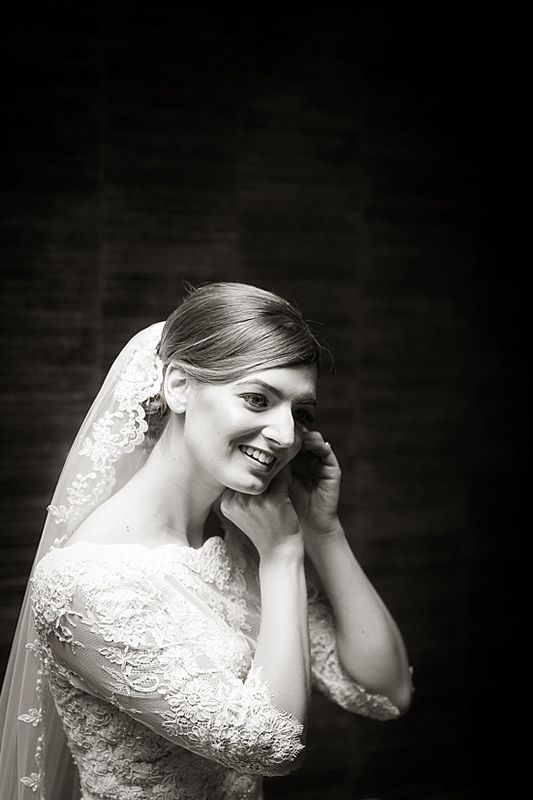 You can’t tell by looking at this picture, but the reason Candida isn’t wearing her veil is that we were standing in a wind tunnel and her veil was blown off! 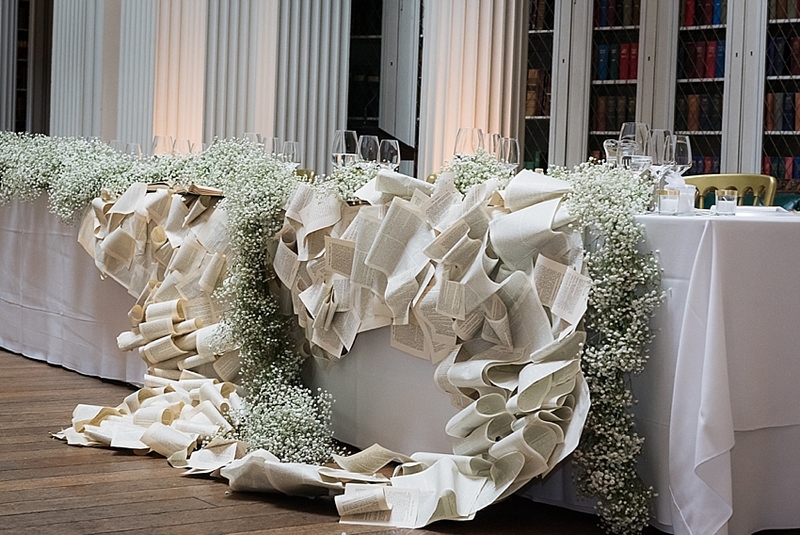 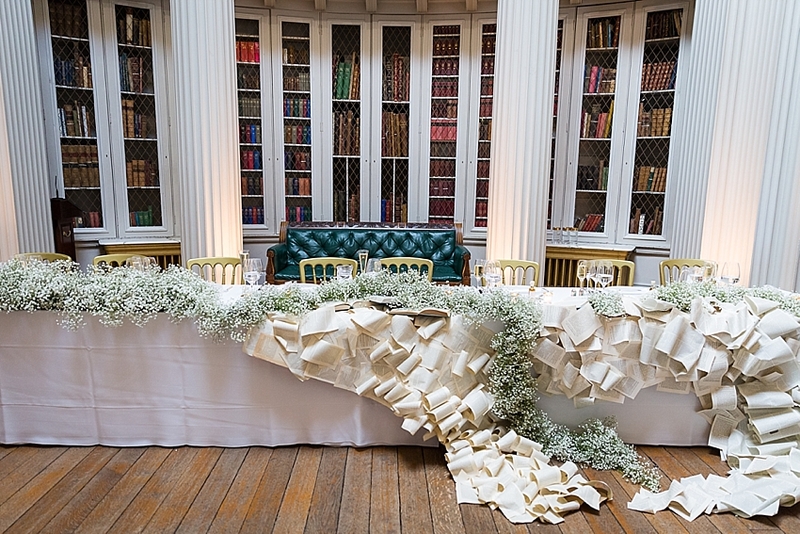 As well as providing the flowers for the wedding the team at Planet Flowers also creative the incredible installation of book pages cascading from the top table. 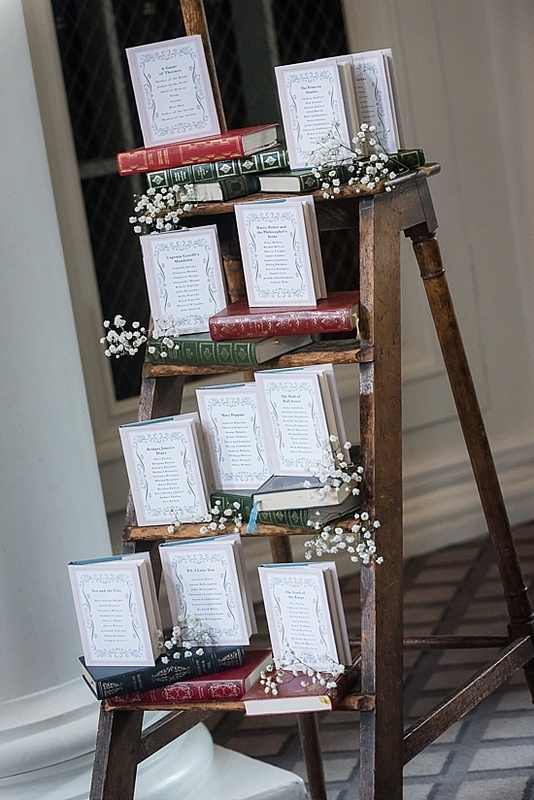 The birdcage inspired wedding cake, by Liggy’s Cakes, echoed the birdcages decorated with gyspophila around the venue. 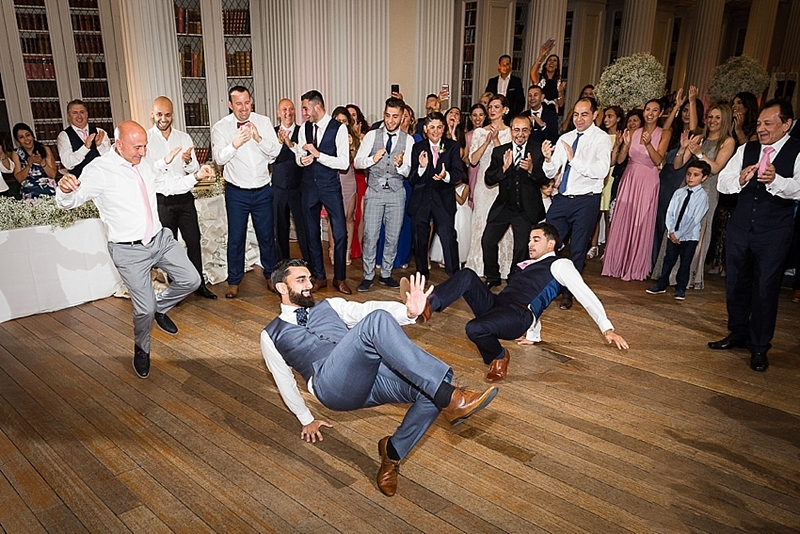 The evening music was provided by DJ Phetta and as Dimitri is of Greek heritage, a few Greek traditional dances were danced as well, including a ‘Kalamatianos’ for the ladies and a ‘Sousta’ for the men. 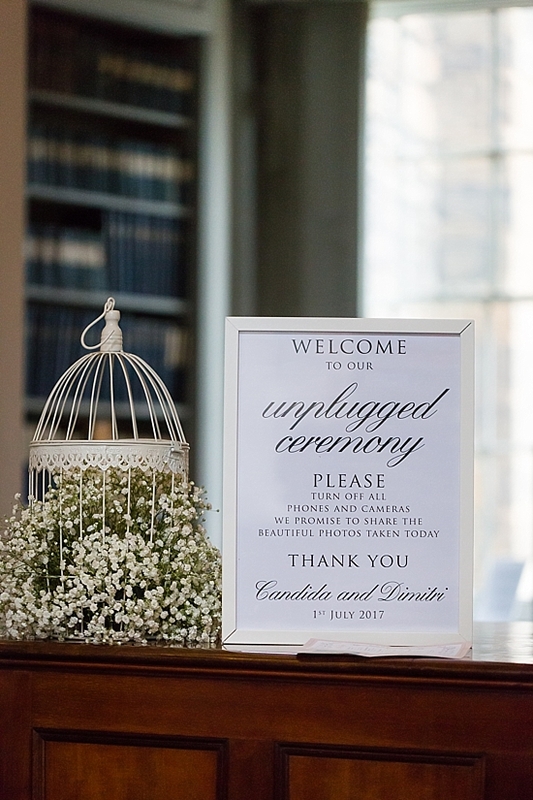 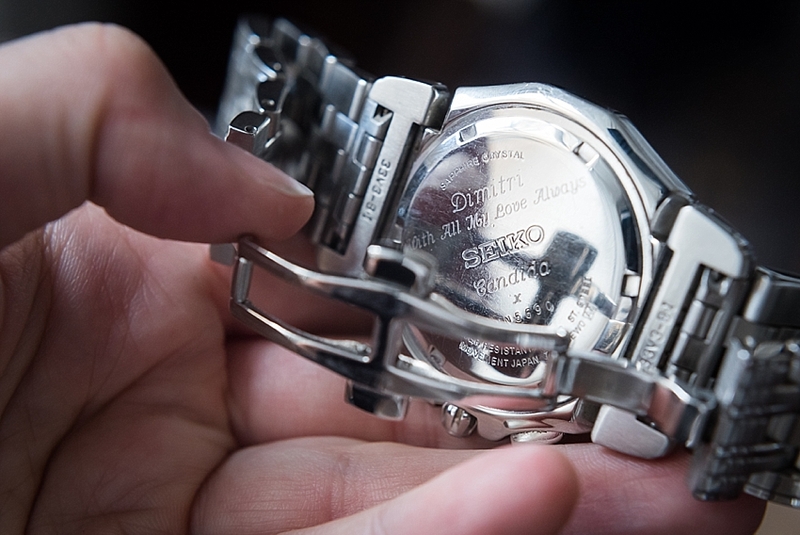 Thank you so much Candida and Dimitri for choosing us to capture your wonderful wedding. 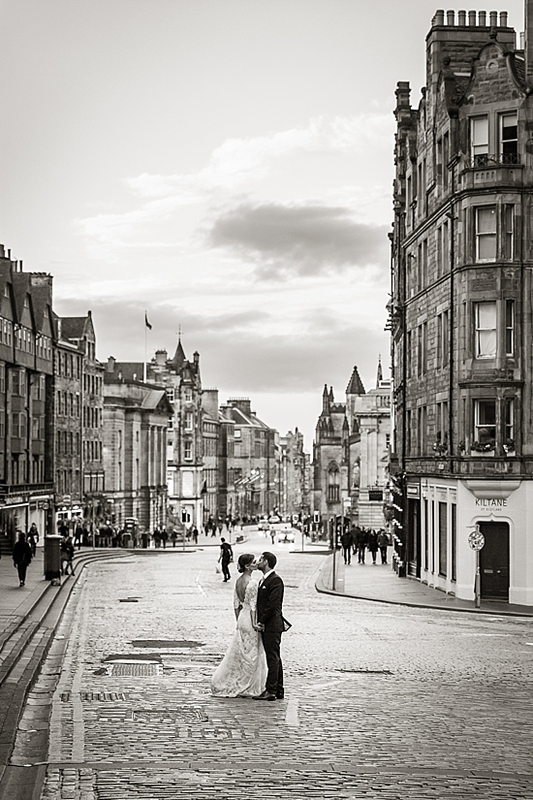 We wish you much happiness for the future and hope our paths will cross again. 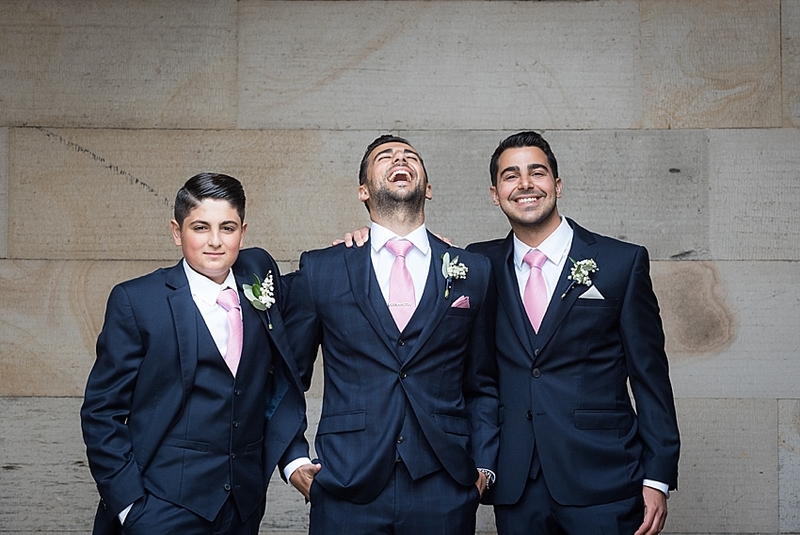 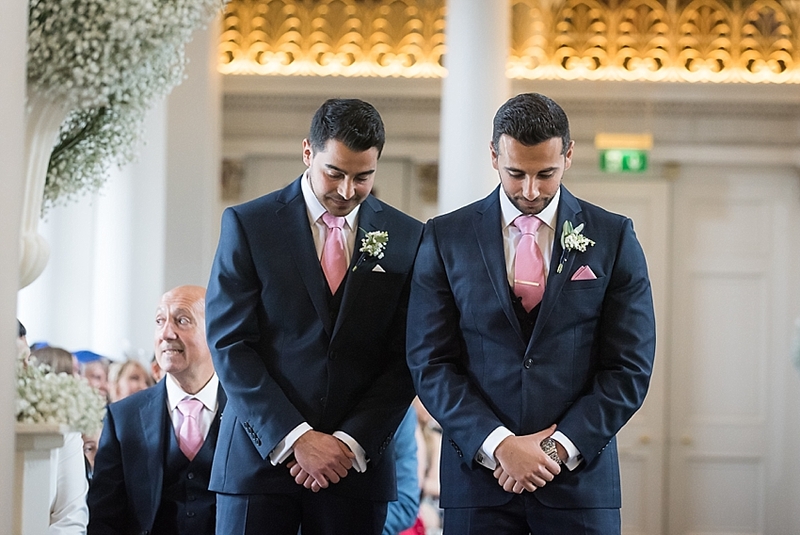 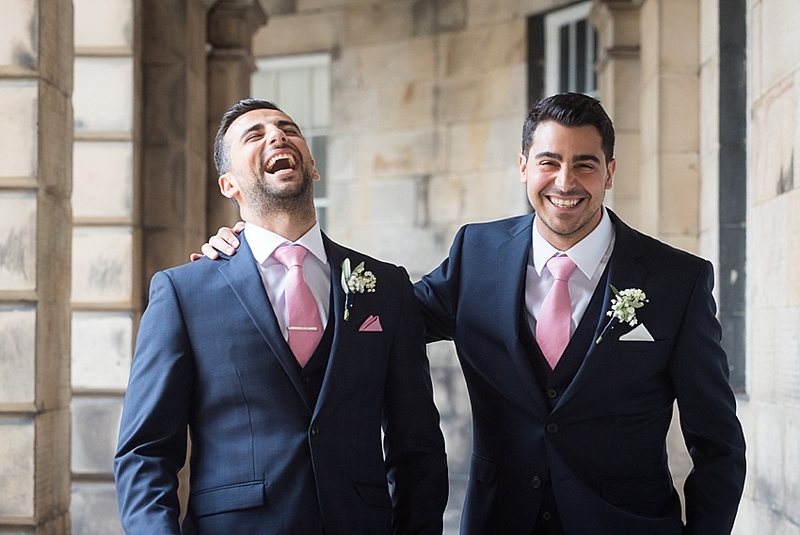 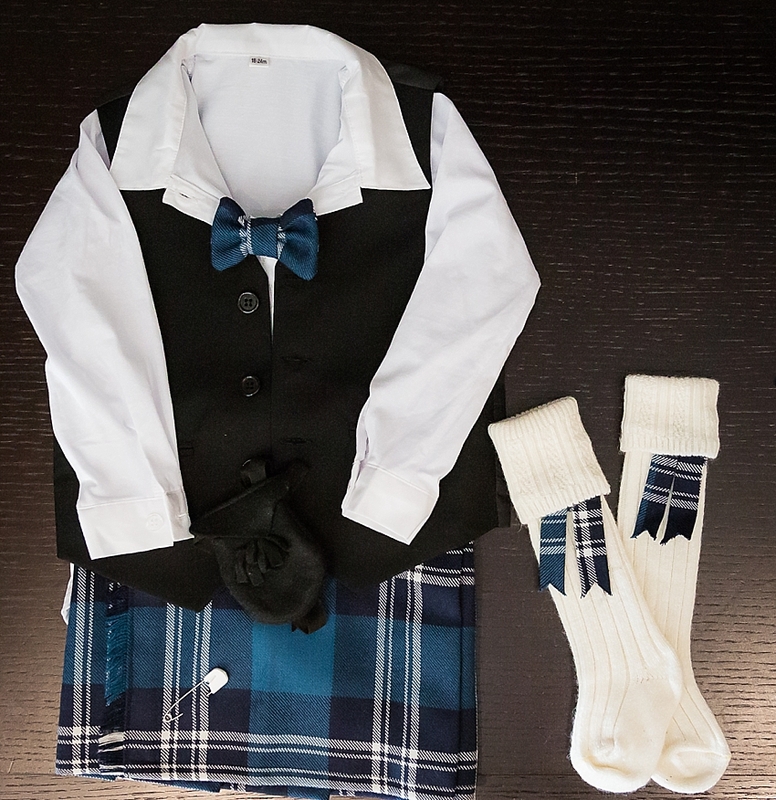 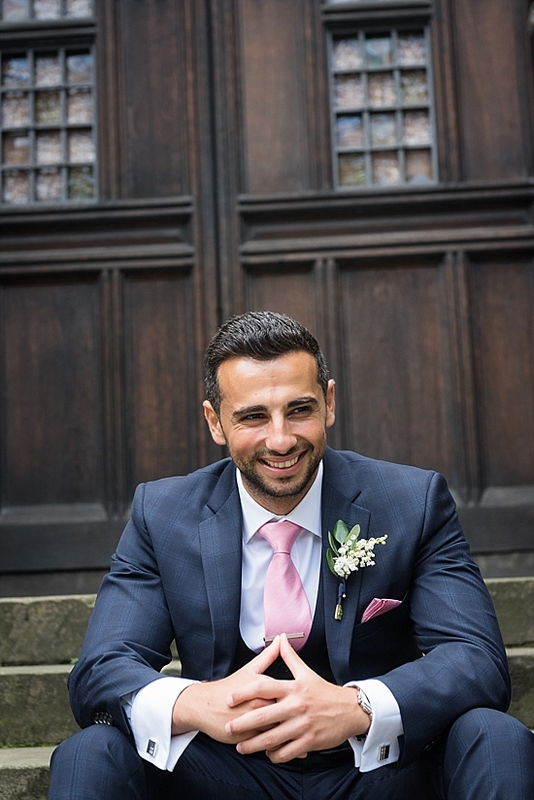 Groom’s outfit – MOSS BROS.